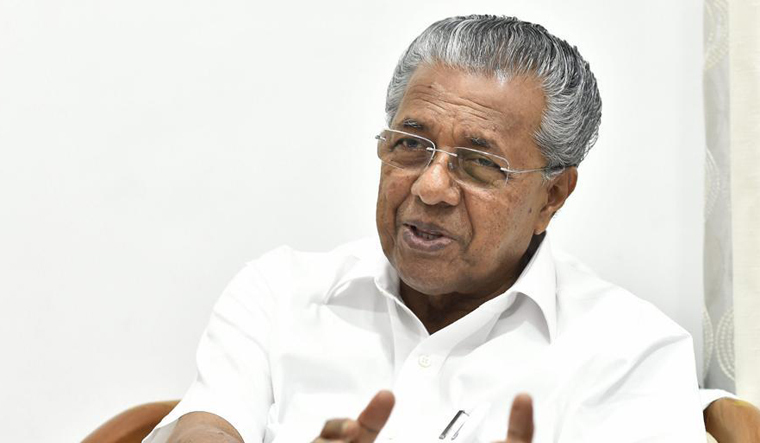 "We are being punished for becoming a developed state"
The chief minister painted a rosy picture of Kerala's industrial scene, saying Fujitsu and Tech Mahindra will follow car manufacturer Nissan, which has already set up shop in Thiruvananthapuram. The state has gotten rid of nokkukooli (the practice of demanding money without actually doing work), and the practice of demanding job quotas for union members, he said. What remains now is to excise the misconception that Kerala is not an investor-friendly state. "It is a fact that we don't have vast tracts of land like other states, but we are in the process of creating infrastructure for industries and businesses suited to the state," he said. “Through Kerala Infrastructure Investment Fund Board (KIIFB), the state has allotted Rs 35,000 crore for acquiring land and creating infrastructure,” he said. “There will be concessions for new industries, and for the old ones looking to expand.” Kerala has one of the best road connectivities in the country. Unlike other states, development is not limited to a particular city, he said, adding that, by 2020, the proposed waterway from Kovalam in the south to Bekal in the north will be ready. “There will be tourist centres every 25km of the 600km stretch; a Malabar cruise is also being planned,” Vijayan said. Tourism is the mainstay of the state's revenue and we are committed to augment it by encouraging conference tourism and other revenue-earning modes, he said. In most social indices like healthcare and education, the state scores high, and the Centre is using that to deny funds and projects, the chief minister said. Even promised projects like the coach factory in Palakkad have not been delivered despite the state government offering land. “For years, we have been demanding an All India Institute of Medical Sciences (AIIMS), and we have been denied this time as well,” he said. “Maybe it is time we thought about a Public-Private Partnership (PPP) model like the Cochin airport. NRIs returning from the Middle East following the tough economic situation there is a major concern for the state, he said. "Though the Centre had collected huge funds for their welfare, it is not keen to spend it. However, the state government has set apart Rs 25 crore to help them, and is providing loans and subsidies on it. The idea is to help them get a permanent income," he said. On the flood relief and rehabilitation front, he said the government was doing it in three stages. The first step was to save the people, which was done well with help from all quarters. By April, the rebuilding of houses that were completely destroyed will be complete. The government will provide financial assistance for those people whose houses were partly destroyed. The public will be discouraged from rebuilding houses in areas prone to landslides and will be given monetary impetus for relocation. The third stage is the rebuilding of the economy and infrastructure. This involves huge expenditure, and we plan to approach the World Bank for funds, he said. Later in the day, he inaugurated the ASCEND Kerala Summit and released the Invest Kerala Guide. The industries department has also launched a single-window interface to facilitate ease of doing business, called Kswift (www.kswift.keralagov.in). This will enable fast and transparent clearance for business enterprises.